While there is nothing ground-breaking about stating that social networking is a worldwide phenomenon, so far information on the global impact of social networking and how usage patterns vary according to countries and regions has been fairly limited. Yesterday, however, eMarketer released a report on this exact topic in which it is estimated that just over 1.2 billion people used social networking services during December 2011 – for comparison purposes, this equates to 54.5 percent of the total internet population worldwide. What is particularly interesting about the report is its inclusion of a 3-year forecast. Forecasts are almost always interesting because they often facilitate and create the foundation for important forward-looking business decisions. With two-thirds of the world’s population still not having access to the internet, this leaves huge room for future internet penetration growth. By the end of this year, social networking will encompass nearly 1.5 billion internet users, largely benefitting from rapidly increasing internet penetration growth rates in emerging markets, eMarketer predicts. Although Asia-Pacific is already the region with the highest number of social network users, this will only become more prevalent in the years to come as internet penetration rates are expected to surge in this extremely populous part of the world. Especially India, where internet penetration and broadband so far have been hampered by slow infrastructure investment, is expected to grow its current social network user base by an impressive 157.5 percent due to infrastructure improvements and increasing PC affordability. 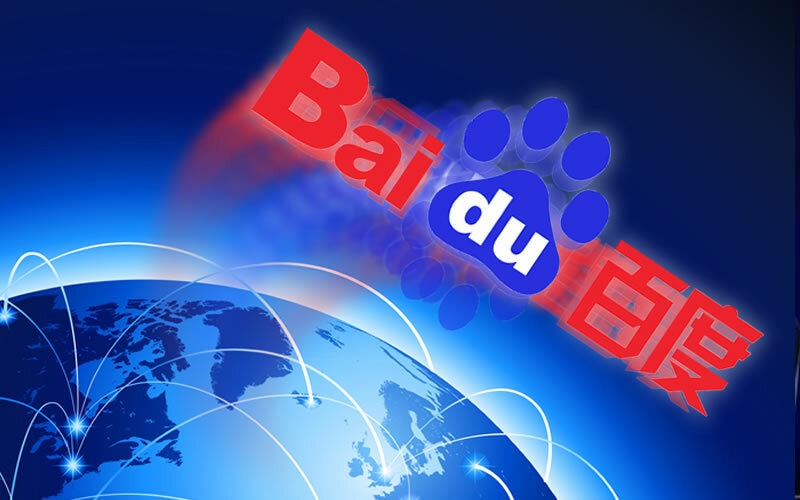 By 2014, China is expected to have nearly 415 million social network users, outnumbering the U.S. in second place by almost 2.5 times. This is equivalent of a 61 percent increase, meanwhile, the U.S. is projected to grow its social network user numbers by a modest 15.5 percent. Social networking tends to have a larger appeal in emerging markets, whereas already developed internet economies, the so-called early adopters of social networking, have witnessed a slowdown in user engagement. This tendency is supported by comScore’s findings where Brazil comes out on top as the world’s most avid social networking nation, with 87.6 percent of the country’s total internet population using such services. Another nation that ranks high is Indonesia. 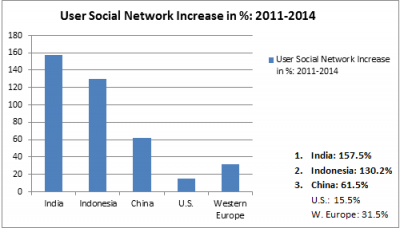 The Southeast Asian country is not only set to increase its social networking user base by a whopping 130.2 percent (see chart above), it is also currently the world’s second most avid social networking population in terms of usage, thus being the only country appearing in the top three rankings for both estimated growth and current usage. To sum it all up, it seems like we have only seen the tip of the iceberg of this crazy little thing called social networking – certainly, there is a vast window of opportunity out there for the taking. As the Research Manager of multilingual web marketing agency Webcertain, Immanuel heads up the company’s global market research activities and large content marketing projects. 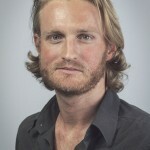 He is the author of several reports and guides, including ‘The Essential Guide to Rel-Alternate-Hreflang’ and ‘The Webcertain Global Search and Social Report 2013’. Apart from being a tutor at the International Marketing School -- teaching online marketing professionals on business opportunities around the globe -- Immanuel is a regular speaker at the International Search Summit, a leading event series dedicated to multilingual search and social media marketing. International Anchor Text Analysis: What Is Most Natural?